Congratulations on your pregnancy! 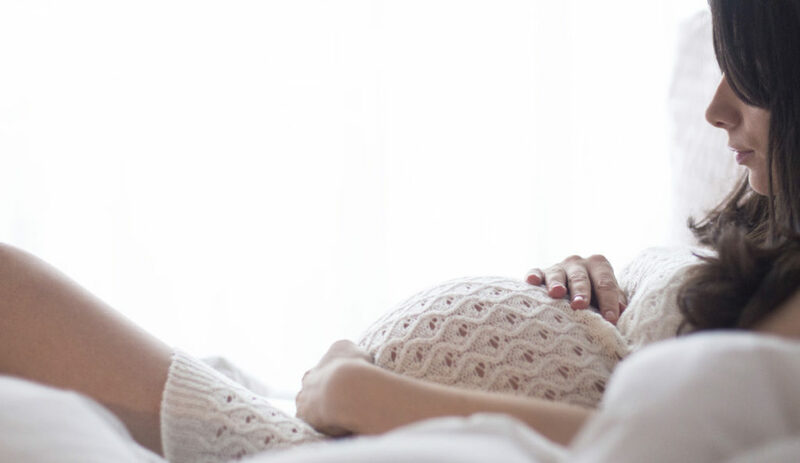 Whether you’re a first-time mom or a mother of four, pregnancy is an amazing journey that can be full of strange, funny, and sometimes embarrassing side effects. It’s also a time where most women expectedly have a few fears or might be a bit anxious. In general, your OBGYN is going to be the best source of advice. But you may not know exactly what to ask or may feel a little embarrassed about the nature of the questions. Rest assured because many women feel the exact same way. No matter how private or awkward you think a question might be, ask anyway because one thing is almost certain: you’re probably not the first person to ask your OBGYN that question. Once you’ve made an appointment to see your doctor, here is a list of some important common pregnancy questions to ask. 1- How much weight should I gain? This is may be the number one thing that most women want to know but don’t necessarily ask. Weight gain can be a touchy subject, but it doesn’t have to be. Your doctor will be more than happy to discuss it with you because it’s an important aspect of both your health and your baby’s. It’s also an important topic because the answer is not always straightforward. Most women usually gain 25-35 pounds during pregnancy, but each woman is different. Your individual ideal weight gain is usually dependent upon your starting weight. For example, a woman who is average weight before getting pregnant may be encouraged to gain 25 to 35 pounds after becoming pregnant. An underweight woman may be told 28 to 40 pounds, and overweight women may need to gain only 15 to 25 pounds1. This is why it’s a good question to ask your OBGYN. 2- Are there any foods I should avoid or limit during pregnancy? You can ask your OBGYN for a comprehensive list but here are a few foods you should be wary of. You should limit your seafood intake to no more than once a week. Seafood can contain high levels of mercury. Mercury is dangerous during pregnancy because it has been linked to brain damage and development delays2. Some of these types of seafood include shark, swordfish, king mackerel, and tilefish. Fish can also be contaminated with listeria and pollutants, so be careful. It might sound strange, but there are some risks associated with lunch meat. Deli meats are sometimes contaminated with listeria. This contamination has been linked to miscarriage. Since listeria can cross the placenta barrier, it can infect the baby and potentially cause infection or blood poisoning2. To avoid contamination, only utilize meat that you buy and open yourself. Once you have opened the meat, microwave the meat until it is steaming. This will get rid of the bacteria. Of course, you should not avoid fruits and vegetables. These are a great source of nutrition while pregnant and in general. However, when pregnant especially, make sure to thoroughly wash them before eating them. 3- Should I be doing any particular kind of exercise? What kind and amount is safe? Most doctors agree that if you participate in regular physical activity before pregnancy, it’s okay to continue that exercise during your pregnancy3. But always check with your doctor first. When undertaking any kind of physical activity, you do need to be a little extra careful to avoid rough exercises where you’re more likely to fall. Your balance is a bit off when you’re expecting because your center of gravity has changed. You should also avoid strenuous abdominal exercises and prolonged periods on your back, especially in the second half of pregnancy3. It’s also best to avoid exercises that are likely to lead to dehydration and overheating. 4- What supplements during pregnancy do you recommend? It is strongly recommended that you take prenatal supplements. The nutrients contained in pre pregnancy supplements are essential for a healthy pregnancy. For example, nutrients like folate, iron, magnesium, and calcium are especially important. It’s a good idea to ask your OBGYN about this. Women with certain medical conditions require extra supplements. For example, women with diabetes need a greater amount of folate than usual. Those that consistently suffer from anemia may need supplements with a higher amount of Iron. Your doctor can discuss your specific needs with you in detail. Not only should your prenatal supplements contains the right ingredients but the right amounts. For example, your prenatal needs to contain calcium. If you prenatal contains 250-300mg, that is not enough. You need 1000mg to help reduce the risk of preeclampsia, a condition characterized by high blood pressure. Medications are important to ask about. If you have a medical condition that requires medication, talk to your doctor about medications that are unsafe during pregnancy. Be sure to mention any and all medications, herbal remedies, supplements, or vitamins that you are on or think you might start taking. If in doubt, mention it. Over the course of your pregnancy, there is a chance that you may need some non-prescription medications. This could be to ease a headache or deal with heartburn. Ask your OBGYN for a list of over-the-counter drugs that are safe to take. You don’t want to resort to Google searches at 5am to see if it’s alright to take Tylenol for your headache. While pregnant, a good rule of thumb is to not ingest any medications, supplements, or vitamins that haven’t first been discussed with a healthcare provider (i.e. pharmacist, doctor, midwife). If in doubt about anything, always speak to a doctor first. When can I have an ultrasound to see a picture of my new baby? Who can I bring to the birth with me? Meeting with your OBGYN can be a bit overwhelming as you’re given a lot of information in a short period of time. The trick is to write down a list of questions before you visit so that you won’t forget them. As a starting point, you can print out this list of common pregnancy questions and add any other additional questions you may have to it. 2) Foods to Avoid During Pregnancy. American Pregnancy Association. http://americanpregnancy.org/pregnancy-health/foods-to-avoid-during-pregnancy/. Published August 2016. I like that you suggest to ask your doctor what kind of exercise you can and can’t do when pregnant. My sister announced last month that she is pregnant and is due in July. She is someone who likes to be active, such as hiking, jogging, and lifting weights. I’ll have to ask her about this when I see her in a couple days. This was so helpful, especially that point about how important it is to stay active during pregnancy. My husband and I decided that we’re ready to start a family. I’ve heard that it really helps if you find an OBGYN that you trust and are comfortable with. Thanks for providing some questions to ask an OBGYN if you are pregnant. I’m glad that you mentioned to ask for a comprehensive list of foods you should be wary of. Knowing what is good to eat seems beneficial not only to your health, but also to the baby. After all, you are now sharing the body with someone else. Making sure you both get the nutrients you need sounds like it could really help a pregnancy. My husband and I want to start our family, and I want to be prepared for everything. Thanks for saying that you’ll need more calcium, magnesium, iron, and folate. I’ll have to find a good gynecologist and ask her these questions. I had never considered to think about what kind of exercise my wife can do. She is 4 months pregnant and wants to stay as fit as possible. I’ll have to remind her to ask her OB when she goes in next. Educating yourself on what to expect during pregnancy is extremely important. If you want to have a stress-free pregnancy, then don’t shy away from asking questions to your gynaecologist. Great post, Jeff. Thanks so much for sharing this!